Danya Pastuszek is the Chief Operating Officer for United Way of Salt Lake. She has been with UWSL since 2012, working previously in UWSL’s Collective Impact and Strategy & Learning Departments with a focus on continuous improvement and on data access, interpretation and use. She’s driven by the belief that through inclusive and results-focused partnerships we can eliminate disparities, and by the talent and commitment of UWSL’s amazing team and partners. 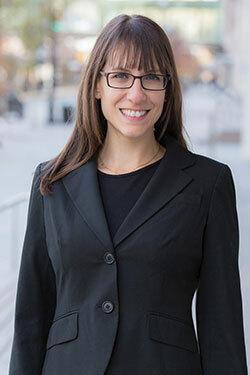 Prior to joining UWSL, Danya worked for nearly a decade at the International Rescue Committee in refugee resettlement, resource development, and training roles. She also worked for the City of New York and a Brooklyn-based non-profit called The HOPE Program, helping individuals formerly involved in the criminal justice system to find work and advance in their careers. Danya holds a Bachelor’s degree in English, a Master’s in Psychology from Stanford University, and an MBA from New York University. Danya enjoys cycling, writing, and being outdoors with her husband, John, and their energetic and curious little boys, Sasha and Remy.